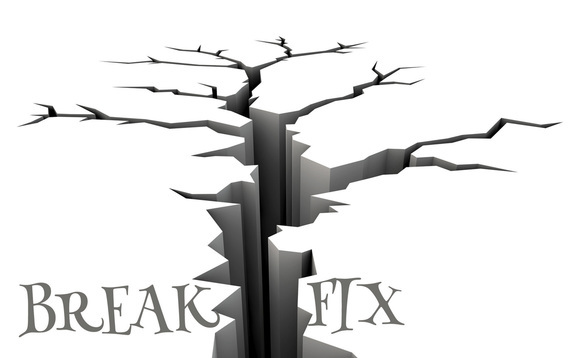 Break-fix IT services have fallen out of favor with IT companies and even many customers. Yet, sometimes break-fix criticism goes too far. 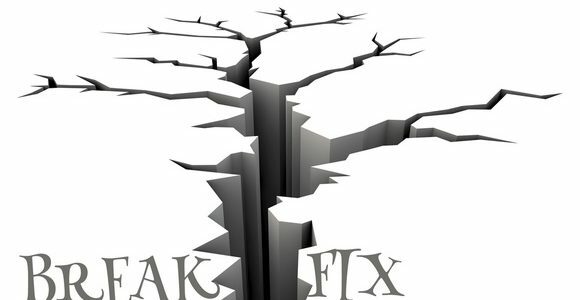 Most IT companies refuse to say a good word about break-fix, which is a little unfair. It’s true, managed IT is almost always the better value for most companies. Still, break-fix IT does have its advantages. Here are 4 benefits of break-fix IT services. With break-fix IT services, you only pay when you have a problem. If you have very few IT problems, this approach will save you money. Disclaimer: In reality, companies that rely exclusively on break-fix services usually end up spending more money. An ounce of prevention really is worth a pound of cure, and a lot of things can go wrong in IT. That’s why managed IT has become more popular with customers lately. Break-fix services allow you to test out a company before signing a month-to-month contract with them. It’s always nice to be able to evaluate a company’s professionalism and dependability before going month-to-month with them. Disclaimer: Most managed IT companies offer a month-to-month contract as opposed to an annual one. So, “try before you buy” isn’t as big of an issue as it is in other industries. Many companies try out a managed IT company for a month and cancel if they don’t like the service. Some companies are totally satisfied with their IT service. Yet, maybe they just had an emergency and their IT guy is sick or on vacation. In that case, break-fix is a solid solution for their business. The average cost of downtime for large businesses is an astounding $5,600 per minute. Even if your business doesn’t lose that much every minute, IT failures get expensive quickly. Some businesses are going through a period where they don’t have the budget for even the smallest of managed IT packages, but they just had an IT emergency. In that case, break-fix can stop the bleeding. However, there are managed IT packages for companies of all sizes. Here at Global IT, we have the small business container, the enterprise business container, and everything in between. The small business container is very affordable, and it’s great value for most businesses. As mentioned before, break-fix services, despite the aforementioned advantages, are losing popularity. The reason is simple. The data shows that managed IT saves money and improves operations. That’s an irresistible combo for most businesses. After all, fixing small problems is much cheaper than fixing large problems. Companies in Santa Fe Springs, the City of Commerce, the City of Industry, and Los Angeles prefer Global IT when they need break-fix services or managed IT. That’s because we have 100% 5-star reviews on Yelp. Our customers know they can always expect tremendous effort for every project. If you’d like to read testimonials from our clients, click on the button below.